You've seen the Big Bang Theory, right? Thanks to my hubs...I am a fan of the show and find the nerd humor hilarious. When I came across the site for London/Madrid based photographer, Alejandro Guijarro (via Visual News), I immediately thought of the show. But, the photos seen here are much more artistic than comical. 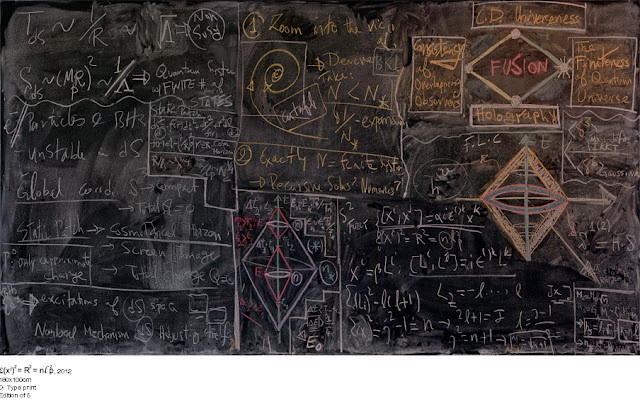 These wide-angle images are fascinating to look at as Alejandro Guijarro captures the furious work of academics on the blackboard. The photographs are part of an on-going series called Momentum. 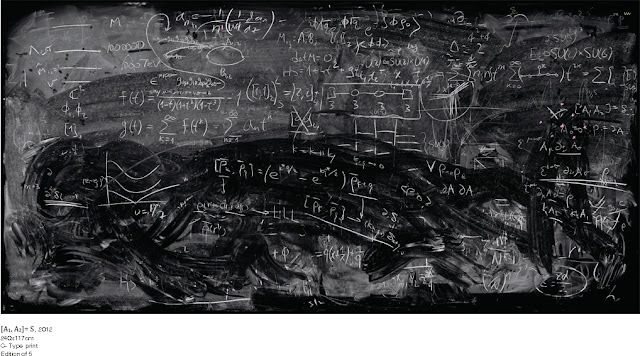 For those of us not familiar with these advanced equations, they appear code-like and complex. Despite the scientific nature, they also appear artsy and creative since they are separated from the classroom setting. It's A Beautiful Mind-esque dont'cha think? 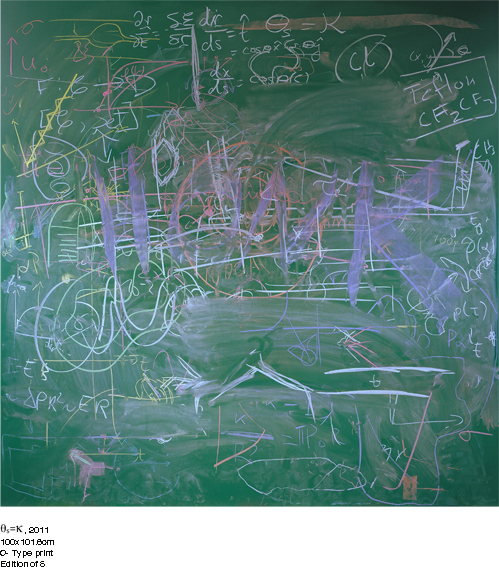 It's much more different looking at these chalkboards compared to the chalkboard art works from Dana Tanamachi (who specifically creates whimsical and playful typology art for people to see). What do you think of these images? Check out more here! Definitely A Beautiful Mind esque! Makes me want to put a chalkboard wall somewhere in my home! Following you now, dear! Maybe you want to follow me too? Definitely reminds me of a Beautiful Mind! 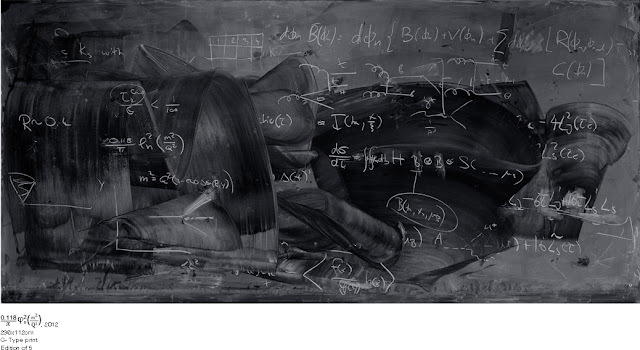 Cool how its art re-interrupted through photography.